VANCOUVER, British Columbia, Canada, September 20, 2013 (ENS) – British multinational mining giant Anglo American withdrew on Monday from a partnership that would develop open-pit copper and gold mines in Alaska’s Bristol Bay, above the largest, most valuable sockeye salmon runs left on the planet. Anglo American said in a statement that it was pulling out of the Pebble mine project in which it was half owner with the Vancouver-based mineral exploration and development company Northern Dynasty. The project is located 200 miles southwest of Anchorage on state land designated for mineral exploration and development in a region of rolling tundra 1,000 feet above sea level, 65 miles from tidewater on Alaska’s Cook Inlet. “Our focus has been to prioritize capital to projects with the highest value and lowest risks within our portfolio, and reduce the capital required to sustain such projects during the pre-approval phases of development as part of a more effective, value-driven capital allocation model,” Cutifani said. As of June 30, 2013, the Anglo American subsidiary Anglo American Pebble has funded US$541 million of expenditure on the Pebble Project. Following the withdrawal, PLP will proceed under the sole ownership of Northern Dynasty. Northern Dynasty CEO Ron Thiessen said, “Northern Dynasty will again own 100 percent of one of the world’s most important copper and gold resources and will have the benefit of $541 million worth of expenditures, which opens the door to a number of exciting possibilities for Northern Dynasty and its shareholders and the Pebble Project and its stakeholders. “Northern Dynasty and the Pebble Partnership have both the expertise and resources necessary to advance the Pebble Project,” said Thiessen. 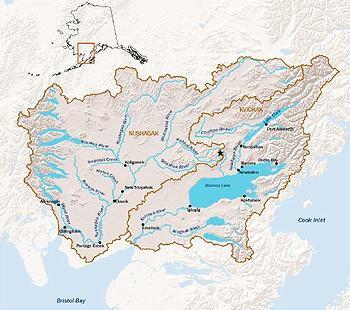 The Bristol Bay watershed is home to 25 federally recognized tribes who have maintained a salmon-based culture and subsistence-based way of life for at least 4,000 years. 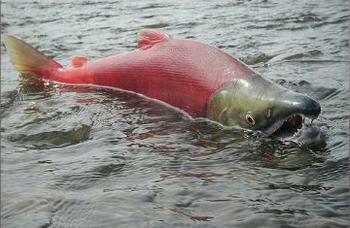 More than half of the world’s sockeye salmon swim through Bristol Bay as do Chinook, coho, chum, and pink salmon, as well as rainbow trout and Dolly Varden trout, and the risks posed by the proposed mine to these fish are well known. Bristol Bay commercial fishermen said Monday that three-quarters of almost 900,000 public comments submitted to the U.S. Environmental Protection Agency on its watershed assessment of mining in the region were critical of the proposed mine. Bob Waldrop, executive director of the Bristol Bay Regional Seafood Development Association, said Monday, “The numbers are in. The people have again spoken: Bristol Bay is the wrong place for a mine on the scale of the proposed Pebble project. During the EPA’s second public comment period on its draft Bristol Bay Watershed Assessment, almost 900,000 people weighed in on the issue, with nearly 75 percent of comments supporting the EPA’s efforts to protect Bristol Bay, Alaska. “Bristol Bay is home to the world’s largest wild sockeye salmon fishery and $1.5 billion industry that supports 14,000 jobs,” wrote Waldrop. “It’s no surprise that Anglo American, former 50 percent shareholder of the Pebble Limited Partnership, withdrew its stake in the Pebble Mine today stating that Pebble poses too many risks to move forward. 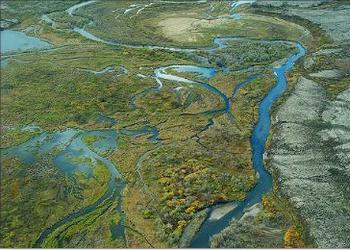 Over 98 percent of the Bristol Bay watershed comments support EPA protecting Bristol Bay,” he wrote. “Even without incident, the mine’s footprint would destroy the spawning habitat for the nearly 40 million salmon who return to Bristol Bay each year,” the group Commercial Fishermen for Bristol Bay said in a statement Monday. With 18 years as a federal fisheries scientist, Dr. Carol Ann Woody is now with the non-profit Center for Science in Public Participation in Anchorage. As a past president of the Alaska Chapter of the American Fisheries Society and a present member of the Western Divisions Environmental Concerns Committee, she worries about what the proposed mine would do to the salmon of Bristol Bay. “These estimates are just for the mine footprint. Estimated impacts to habitat and salmon only increase when the access road is considered, as well as development of the additional mines that surround Pebble,” she wrote. Because salmon hatch in fresh water streams and live their adult lives in the ocean before returning to spawn in the same places where they were hatched, the proposed mines could destroy the Bristol Bay salmon runs forever. Trout Unlimited Alaska warns the Pebble Mine could be the largest open-pit mine in North America and it would be located in the headwaters of two of Bristol Bay’s most important rivers – the Nushagak and the Kvichak. 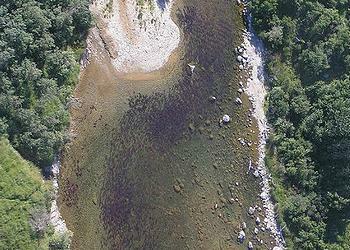 “The risk of acid mine drainage, heavy metal leakage, toxic dust and huge water withdrawals are just some of the myriad threats that Pebble poses to Bristol Bay and its salmon spawning grounds,” warns the fish advocacy group. The proposed mine could cover anywhere from 15 to 54 square miles, according to preliminary designs filed with the State of Alaska. Pebble Mine could construct the world’s largest earthen dam, some 4.3 miles long and 700 feet high, to contain billions of tons of mining waste.